Dear reader, how would you like a bucket? "Okay," you say, "That's pretty decent." Now then, how would you like a bucket of joy? Yeah, now we're talkin'. First item on the agenda: New Order stock. Everyone loves it, everyone wants to purchase it for all sorts of reasons. In fact, that's one of the best things about New Order stock--its versatility. 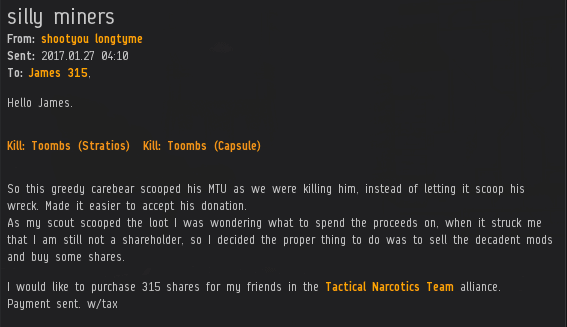 shootyou longtyme's purchase of New Order stock on behalf of his alliance might trigger some people out there with unexplained grudges against the Tactical Narcotics Team. 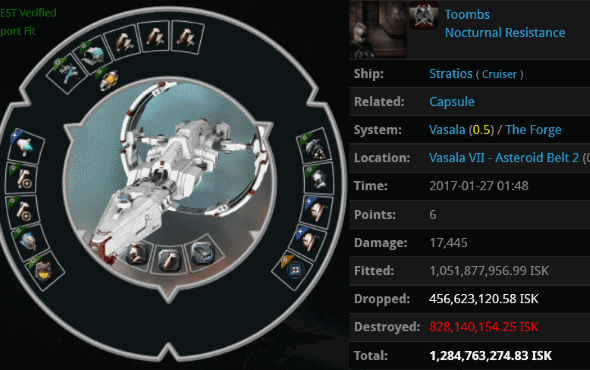 The appropriately named Toombs lost a 1.2 billion isk Stratios and a 750 million isk pod to our Agents. Then a bunch of his stuff was sold to buy New Order stock. 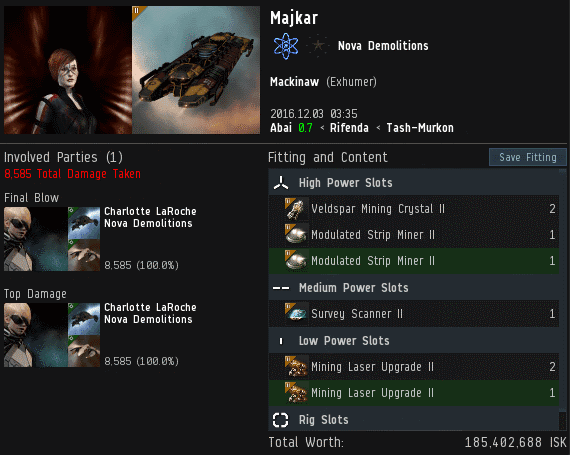 You might say Toombs helped fund the ganking of the next carebear. It's the circle of life--or death, in this case. 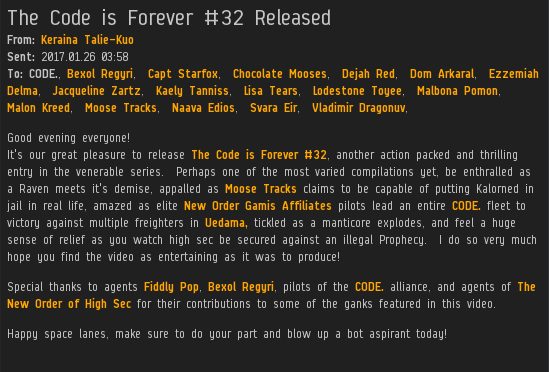 Next up, we have the latest installment of highsec's equivalent of the James Bond franchise: The Code Is Forever series. It's really impressive that each sequel is even better than the one before it. After thirty-two editions, that's no mean feat. At the risk of spoiling the outcome of the negotiations, I'll just say that the carebear in question was a really poor negotiator. This all sounds very complicated, but as always, the Code allows us to cut right to the heart of the matter. The ships in question were insufficiently tanked and neither pilot had a mining permit. No permit, no ship. Ness 64 bought a couple permits the day after the ganks, which is excellent--but too late to save those dead ships. 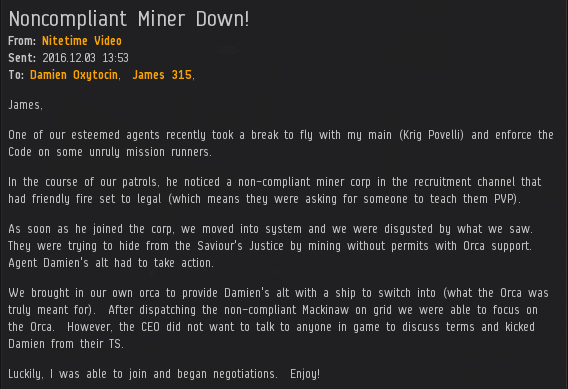 Remember everyone, the time to purchase a mining permit is now, not after your Orca gets tackled. Your insults are sooo basic, it doesn't even fase me lol! I an not crying at all, just laughing at people who whole life is eve. I have sooo much to stream about now with all the TNT try hards. I will be cracking jokes for 30 minutes or more lol! I will be the last thing you gankerbots will ever mess with. The Dannish must be slow learners LOL! Our BV Mining citadel is still safe for all non TNT/CODE asshats. All these capitol letters in their names, who do they think they are ?! ?trying to fool LOL! TNT is trying hard. Id be happy to discuss this further with you. Id hate for our public relations to be ruined over this awful mess. Oh yeah I loooove the bonus room. Hey Erotica 1, give me some bone in the bonus room. And for the record I am back in the game. 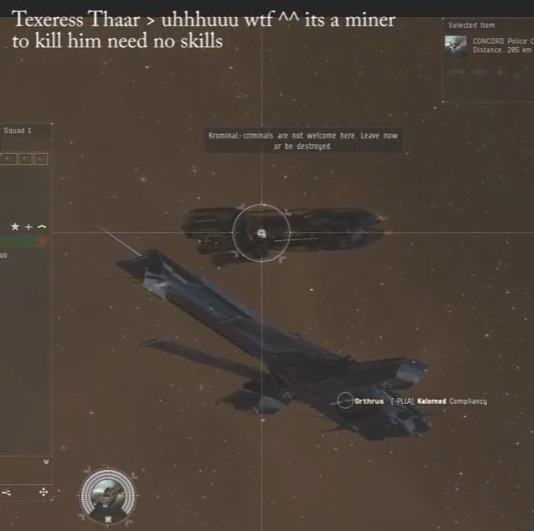 I've not posted any kills in 10 months, but that is only because I am mining now, and building things. I figure that i have a lot of mining to do to make up for all the evil I've done over the years. Seriously though, I am back. 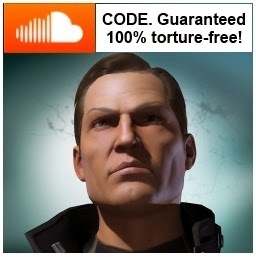 I'm curious why you guys are using my name for your forums. 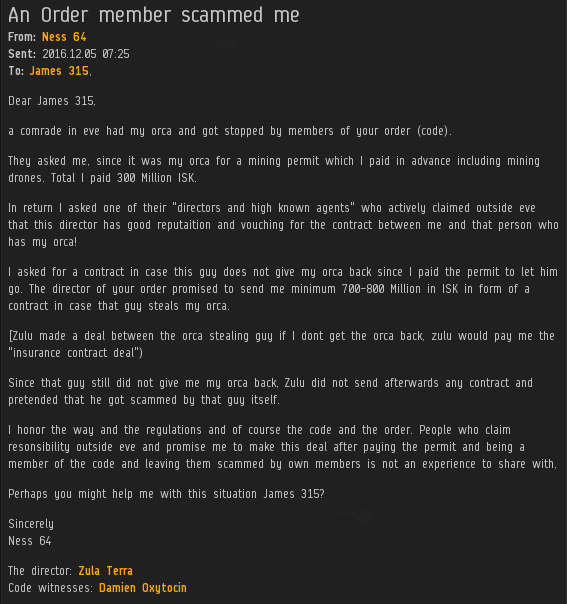 "Codex Biovector" and making false post. Is it to spread rumors or a personal issue with me in general? (Maybe Its clear as day that it is one of your group since it shows 4:30 AM in the morning when the post was made. Karma if oyu have a personal issue with me then actually confront the real Codex and not make false assumptions of me. I'm not upset in anyway of trolls behavior. 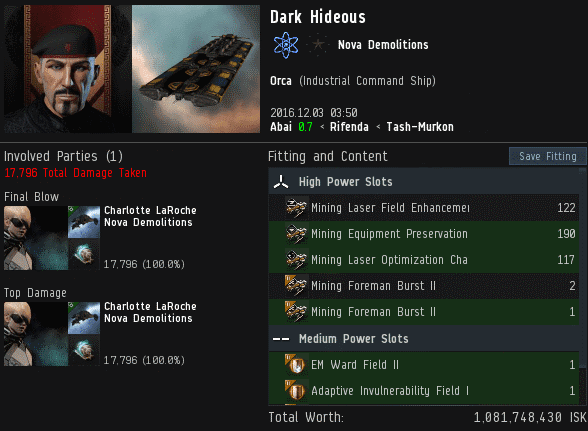 EvE is a game. Something not worth getting upset over. But I have a feeling your a fake name aswell. Codex biovector is still punching the ceiling of his citadel whilst remaining docked. Cieling cat is watching you lie codex.